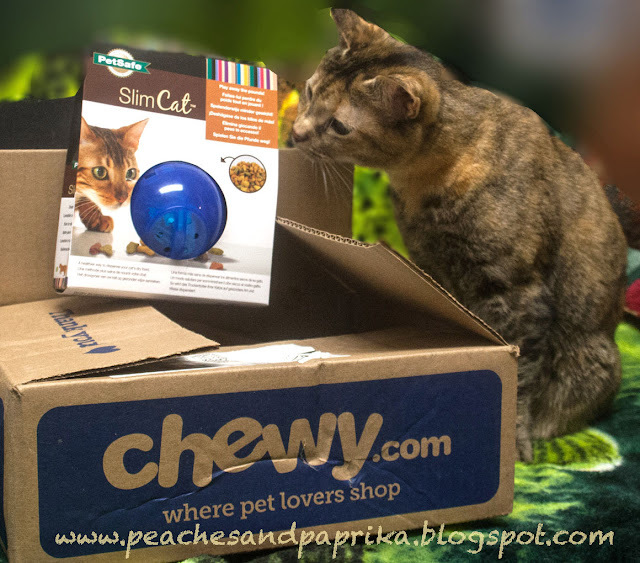 Our human, Carol, is part of the Chewy Influencer group (#chewyinfluencer) and this week she gave us something really neat to review: The SlimCat interactive Feeder. Our first hint that this was a special day was when we saw that box we love from Chewy.com. We felt there MUST be something good in it and sure enough, there was: a huge blue plastic ball to play with! 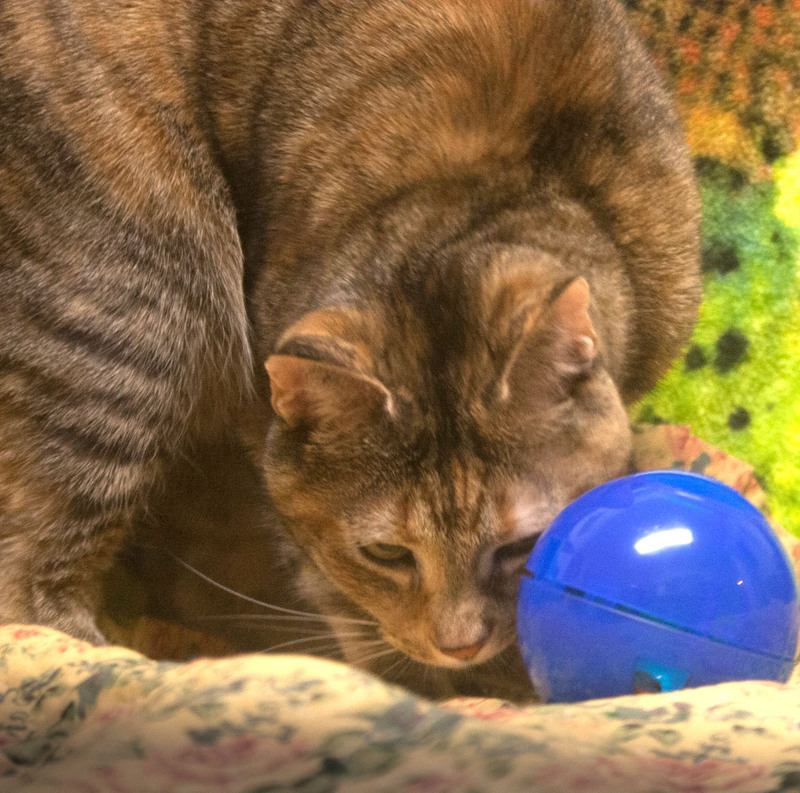 Actually it's called the " SlimCat Interactive Feeder" but we call it the Blue ball with yummies inside. Much to our frustration, our human was very clumsy opening it but once she figured it out, she put something inside it and gave it to us! TREATS! But we would have to work for them. THEN my sister, Paprika rolled the blue ball wrong and the food flew away! 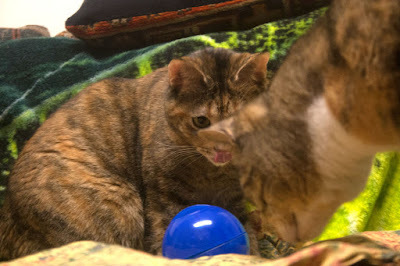 As usual I had to take matters into my own hands (PAWS) TO show her how to get treats out of the ball! I taught her a lesson by eating all the food while she drooled! I think I'm finally getting the hang of it. YUM!!! Whew! I think I lost 2 pounds! 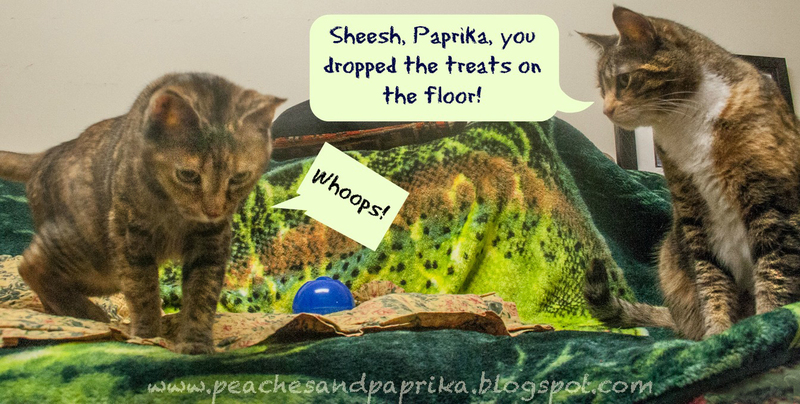 That was exhausting teaching Paprika how the "work the SlimCat ball" and get my own treat! SlimCat interactive feeder DOES play away the pounds! 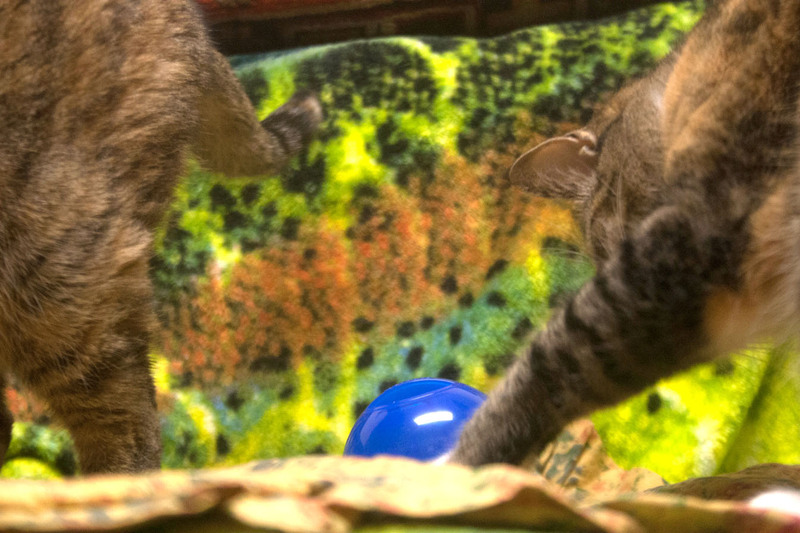 You can't help it, it's a ball with treats in it and we gotta get at them! SlimCat feeder is on sale for $4.87 from Chewy.com and we recommend your human hasten to get this delectable ball for you! Especially, if you're, umm...a little overweight like me. We are not being compensated for this post. We received a SlimCat Interactive feeder in exchange for our honest review. 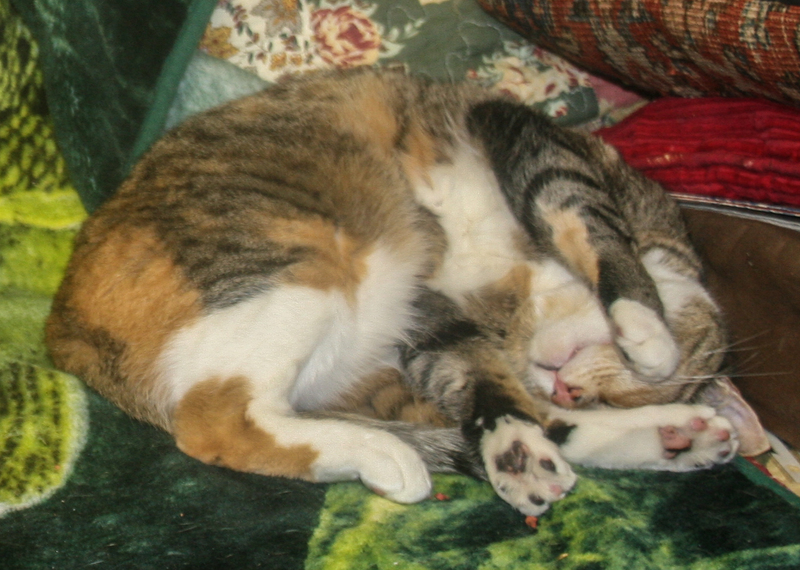 When your life revolves around napping in the sun, it's easy to add an extra pound or two. 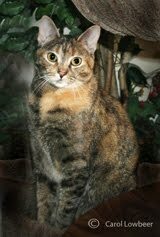 But the vets have spoken: 50% of American cats need to slim down! The PetSafe SlimCat Interactive Feeder lets your cat play away the pounds while working for his dinner or treats. Pack the SlimCat feeding ball with your fur baby's kibble, and it distributes an adjustable amount of food as your cat bats and pounces. 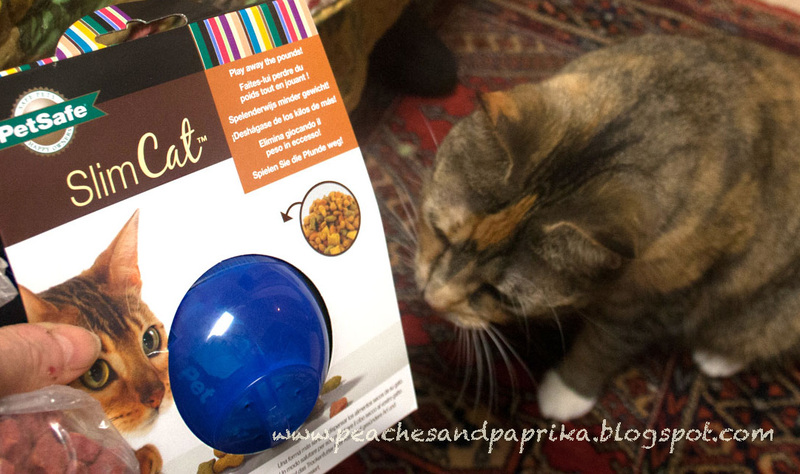 Great review, Peaches and Paprika! I've been wondering how this nifty little thing works. I'm glad you both enjoyed it! Purrs! Looks like a fun little feeder toy! We have one of these too. It takes us a while, but we do get the treats out. 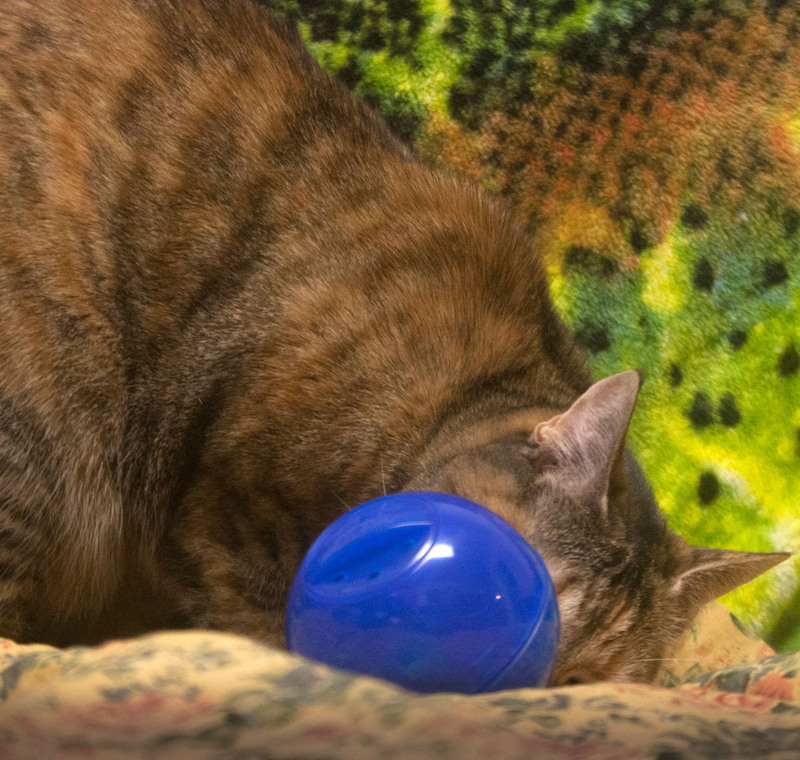 Mudpie is having fun with this toy too! 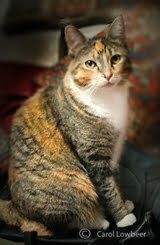 Peaches, I am glad to see you are feeling better and back to your bossy, I mean, assertive self. Poor Paprika. 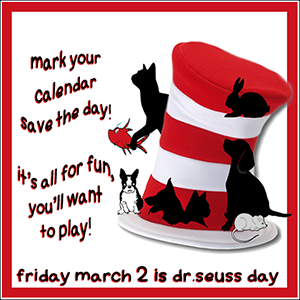 That looks like a fun way to get treats. 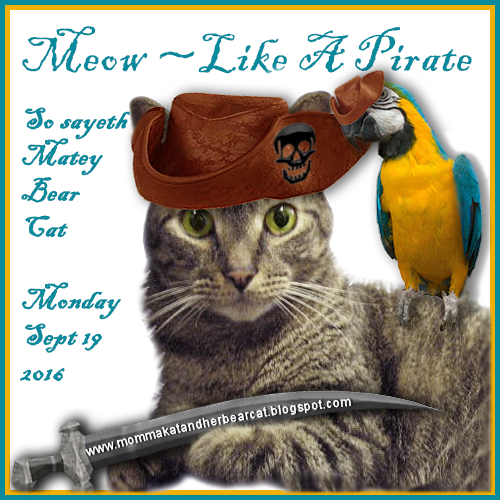 mol I love your post. Sisters are a wee bit slow at times. Kali has no creative ability whatsoever and can never figure these things out. We have a temptations mouse filled with goodies and she doesn't understand it....um....I have trouble too....it is complicated. Unfortunately this charming ball is not available in Canada or we'd be trying it. We want to get Chewy.com to come to Canada. Those food dispenser eggs can really take some effort! But they ARE fun. My cat has an interactive feeder (not this one) and it was the best thing I bought. It keeps him entertained and keeps him from gobbling his treats down. Very cool! My senior cat Maggie has finally decided that play is her thing. I may need to get this for her. She's spent 11 years being lazy, and now she wants to play. I should reward that, right?